Nigel has more than 20 years of business experience in the US, Australia, UK, Europe and various countries throughout Asia. Once Nigel started travelling more extensively in Asia and in particular China, he realised that Western businesses face common challenges on the ground. Some tasks, such as getting around a city by taxi, are quite basic, and yet overwhelming for visitors who don't speak the local language. Even more of an impediment are the issues of actually doing business in China, with cultural barriers and differences in laws and operational procedures proving more substantial than anticipated. And so the idea of Nihao Global was born. Nigel has operated in China for over 8 years and has accumulated much knowledge is transmitted and reflected in the services of Nihao Global. Janey's flair for cross-cultural management brought her to Beijing’s Jintai Museum (the largest private museum in China), which was founded by the renowned Chinese artist and environmentalist Yuan Xikun. Janey worked closely with Mr. Yuan co-ordinating international art projects and cultural exchange programs. Then as Co-founder, CEO and Director of Nihao Global since 2012, Janey built her own successful business working with UK, USA, European and Australian state and federal governments, banks, consultancies, sporting bodies, media providers, chambers of commerce, education providers and SMEs to empower them to undertake business and communicate effectively in China. Having grown up and built her career in China, Janey understands the China market, its people and their culture as well as the common problems that hinder foreign entities in China operationally. Helping businesses gain traction by improving their strategy, management and bilingual communications are her specialty. Her strong execution skills and professional standards have allowed Nihao Global to gain a presence in 23 major Chinese cities with over 300 contractors and an expanding list of satisfied clients from around the world. Originally from Washington DC, Stephen is an international professional with extensive and diverse experience. Stephen has been an independent advisor and worked as a financial consultant and senior analyst for Moody's Investor Service in New York for 4 years. He was Head of Metals and Mining Rating worldwide at Moody's and then Managing Director for Moody's Australia and New Zealand operations for over 3 years. Stephen was also Vice President and Manager at the Marine Midland Bank. Stephen also acts as a professional director and currently holds five directorships and has cross-border experience in organisation and governance. His expertise in the industrial, services and financial sectors was complemented by a stint at the Hong Kong and Shanghai Bank Group as well as work at the Bank of New York. Stephen assists Nihao Global with strategic advice and provides global market insights and experience, with a focus on Asia, the USA and Australia. Richard has over 15 years management experience in Information Technology (IT), and over 10 years in senior roles in East Asia. Richard specialises in IT Strategy for growing businesses with particular skills in managing staff, infrastructure and regulatory challenges in international markets and in China. 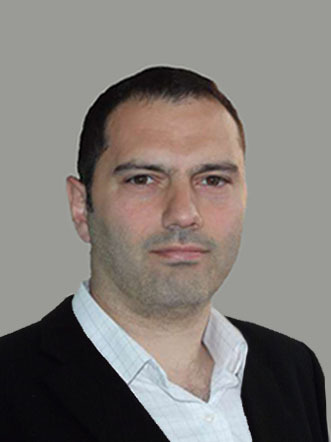 Richard has skill with the different and fast changing markets, talent pools and regulatory frameworks representing unique challenges to international enterprises IT strategy. Richard brings long term exposure and up-to-date knowledge in IT of the situation on the ground to Nihao. 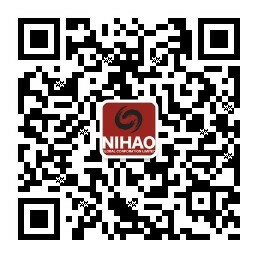 This knowledge helps IT drive strategy and growth at Nihao, links and informs our products and services, keeping them up to date, secure and client focused.